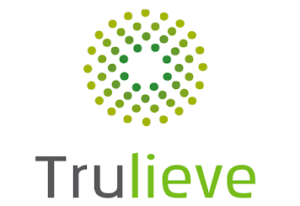 TALLAHASSEE, FL, April 10, 2019 /CNW/ – Trulieve Cannabis Corp. (CSE: TRUL) (“Trulieve” or the “Company”) today announced its financial results for the fourth quarter and full year ended December 31, 2018. Unless otherwise stated, all currency is expressed in U.S. dollars. EBITDA and Adjusted EBITDA are non-IFRS financial measures. While Trulieve believes that these measures are useful for the evaluation and assessment of its performance, they do not have any standard meaning prescribed by IFRS, are unlikely to be comparable to similar measures presented by other issuers and should not be considered as an alternative to comparable measures determined in accordance with IFRS. Adjusted EBITDA and Gross margin do not include the net effect of changes in the fair value of biological assets. The Management Discussion and Analysis for the period and the accompanying financial statements and notes are available under the Company’s profile on SEDAR at www.sedar.com and on its website at https://www.trulieve.com/investors. This news release is not in any way a substitute for reading those financial statements, including the notes to the financial statements. Revenue is expected to grow 108% to approximately $214M. As previously disclosed, full year 2019 revenue growth guidance includes an expected increase in number of dispensaries in Florida and execution on our multi-state expansion. Anticipated gross profit of approximately $145M for 2019, or 68% of revenue before net changes in the fair value of biological assets. An adjusted EBITDA of approximately $92M, or 43% of revenue, reflecting our continued leverage of scale and financial discipline. The Company will host a conference call and live audio webcast on Thursday, April 11, 2019 at 10:00 A.M. Eastern time, to discuss its fourth quarter and year end 2018 financial results. All interested parties can join the conference call by dialing 1-888-231-8191 or 1-647-427-7450, conference ID: 8568579. Please dial in 15 minutes prior to the call to secure a line. The conference call will be archived for replay until Thursday, April 18, 2019 at midnight, ET. To access the archived conference call, please dial 1-855-859-2056 and enter the encore code 8568579. Trulieve is a vertically integrated “seed-to-sale” company and is the first and largest fully licensed medical cannabis company in the State of Florida. Trulieve cultivates and produces all of its products in-house and distributes those products to Trulieve-branded stores (dispensaries) throughout the State of Florida, as well as directly to patients via home delivery. Trulieve also operates in California and Massachusetts. Trulieve is listed on the Canadian Securities Exchange under the symbol TRUL. This news release includes forward-looking information and statements, which may include, but are not limited to, information and statements regarding or inferring the future business, operations, financial performance, prospects, and other plans, intentions, expectations, estimates, and beliefs of the Company. Such statements include statements regarding the completion of the proposed acquisitions and the plans for the assets of the entities being acquired. 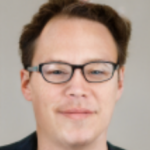 Words such as “expects”, “continue”, “will”, “anticipates” and “intends” or similar expressions are intended to identify forward-looking statements. These forward-looking statements are based on the Company’s current projections and expectations about future events and financial trends that management believes might affect its financial condition, results of operations, business strategy and financial needs, and on certain assumptions and analysis made by the Company in light of the experience and perception of historical trends, current conditions and expected future developments and other factors management believes are appropriate. Forward-looking information and statements involve and are subject to assumptions and known and unknown risks, uncertainties, and other factors which may cause actual events, results, performance, or achievements of the Company to be materially different from future events, results, performance, and achievements expressed or implied by forward-looking information and statements herein. Although the Company believes that any forward-looking information and statements herein are reasonable, in light of the use of assumptions and the significant risks and uncertainties inherent in such information and statements, there can be no assurance that any such forward-looking information and statements will prove to be accurate, and accordingly readers are advised to rely on their own evaluation of such risks and uncertainties and should not place undue reliance upon such forward-looking information and statements. Any forward-looking information and statements herein are made as of the date hereof, and except as required by applicable laws, the Company assumes no obligation and disclaims any intention to update or revise any forward-looking information and statements herein or to update the reasons that actual events or results could or do differ from those projected in any forward looking information and statements herein, whether as a result of new information, future events or results, or otherwise, except as required by applicable laws.